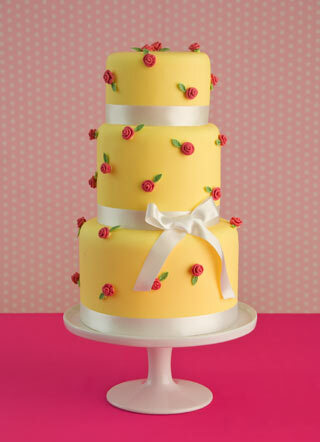 Pretty pastel yellow wedding cake with small red sugar roses over three round tiers, each tier is separated by white satin ribbon. 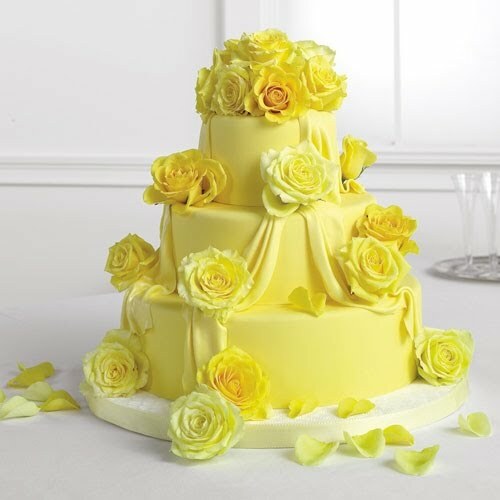 Three tier round draping wedding cake in yellow with an abundance of fresh yellow roses. 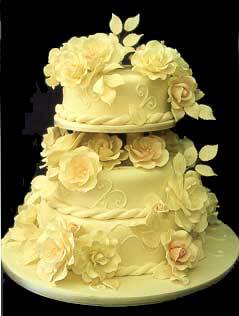 Elegant and joyful three tier yellow wedding cake with fresh yellow roses. 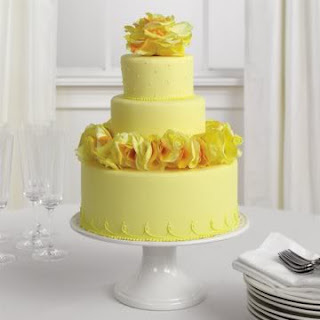 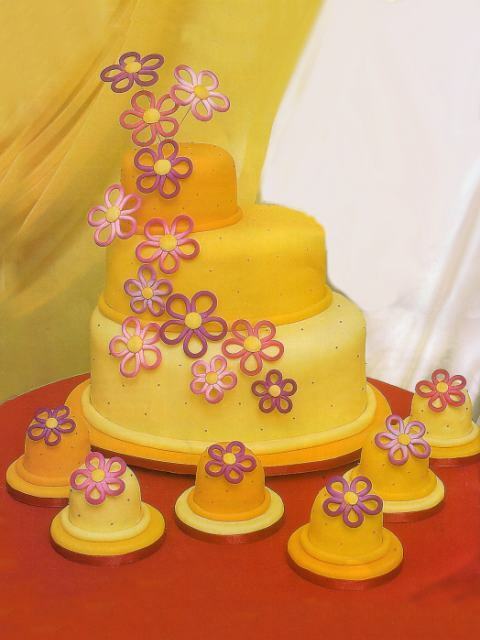 Three tier yellow fondant wedding cake. 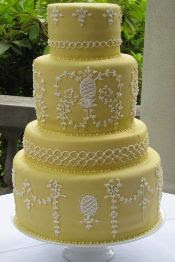 Four tier yellow wedding cake with white decorative scroll handiwork. Pastel yellow wedding cake with yellow sugar roses that have a touch of pink. 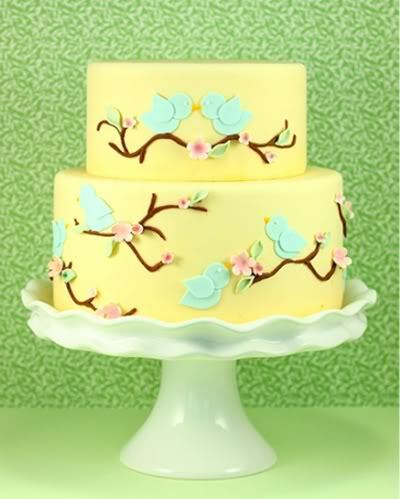 Gorgeous spring time yellow wedding cake with bluebirds. 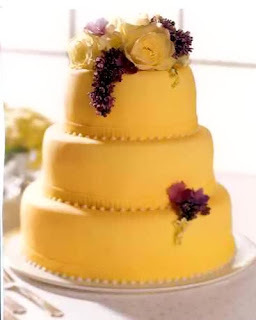 Yellow three tier round wedding cake with little mini cakes surrounding it and flowers made out of different purple hues. The first one looks like a Mary Engelbreit design!